Enjoying drinks at a rooftop bar in New York City does not come cheap. I love rooftops but I do not love rooftop prices. 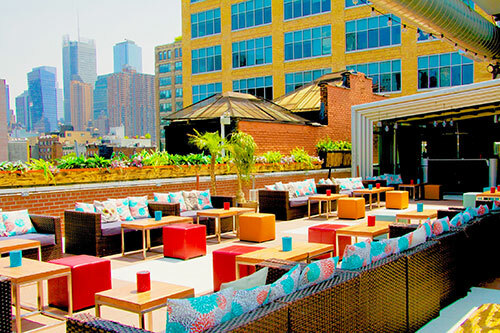 So I have been on the hunt for the best cheap rooftop happy hours in NYC. And guess what. I found 10. You all know I love Happy Hour. If you haven’t figured it out yet I don’t like spending money. Call me cheap, frugal, [fill in your word of choice]. I just feel like why pay $20 for a drink when I can get it for way cheaper. Also that is more money that goes into my Travel Fund. Which is way more important to me. I do like to go out and have a good time though so of course I had to find some rooftop happy hour spots. Say good bye to $20 drinks. No one has money for that. So put those credit cards away because I am about to save you a ton of money. Drinks with a view for under $10. I got you. 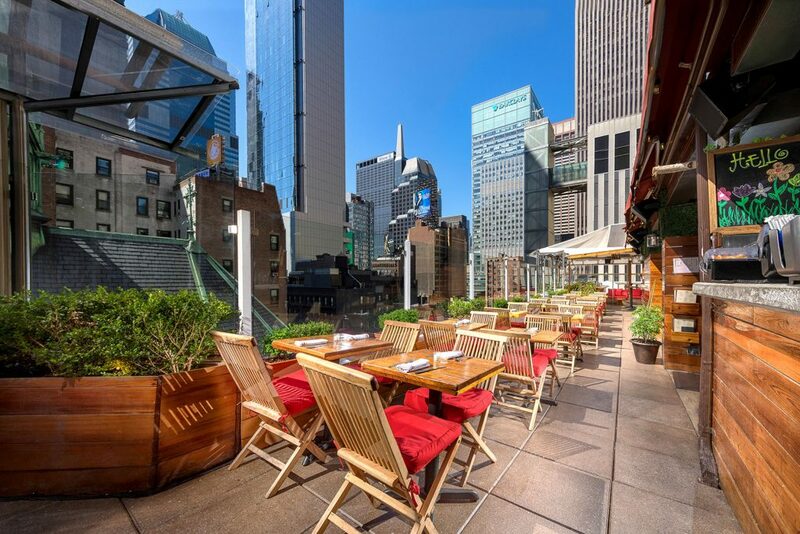 Let’s check out the best rooftop happy hours NYC. Located in SoHo this is the last place I would think to have a rooftop happy hour in NYC. But they do. Located above the 20 story Hotel Hugo this is the place to go after work during the week. I have been a few times and it is a pretty great way to spend a summer evening. Happy Hour is Monday -Thursday from 5-8pm. Get there early and snag a seat with a view of the Hudson and Freedom Tower. Be warned. They get busy. Grab your self a beer ($6), wine ($8) or cocktail ($9). Considering that the average drink at a rooftop starts at about $15 this is not a bad deal in my opinion. They also play great music which is a plus. It’s a lively atmosphere so be prepared. I definitely a great place to let loose after a long day at work. 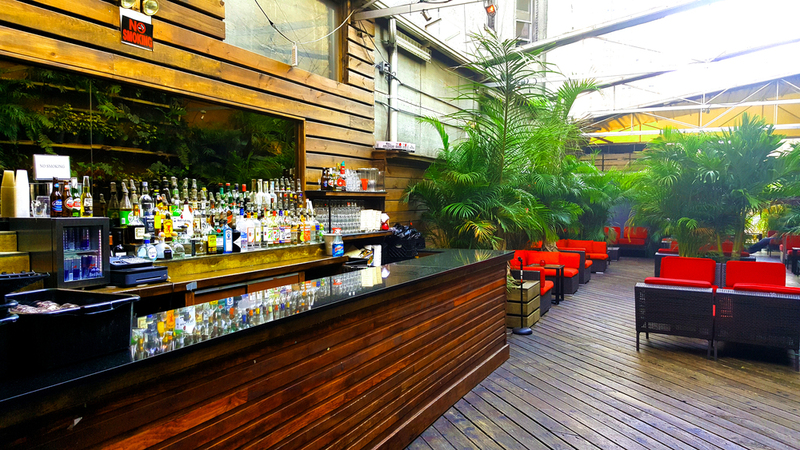 Let’s head over to Chinatown where you can get a daily rooftop happy hour from 4pm-8pm at Rooftop 93. This is an indoor rooftop which makes it a great option year round however you won’t be disappointed with the amazing views of the Empire State Building. Beer, Sake and House Cocktails are $7. It can start off a bit quiet but things start to liven up as the night progresses. If you’re not feeling the vibe check out the beer garden downstairs which has a great happy hour as well. It is one of my fave places to hang out in the summer. This is also one of the few happy hours that are available on the weekends which makes it one of the best places for happy hour on a rooftop in NYC. Did you know that 230 Fifth had an happy hour? No rooftop list in New York City is complete without a mention of this tried and true. Not to mention they are one of the most Instagrammable places in New York City. But, let’s stick to the important things. They have a happy hour which is amazing. Happy hour is Monday-Friday from 2pm-7pm. Did someone say late liquid lunch. Beer ($6), wine ($7) and cocktails ($8) are available in addition to food. You know how I feel about a good food happy hour. Grab a few snacks, a couple of drinks and get in all your Instagram shots. Keep in mind this place is vey popular so be prepared for crowds. However no visit to New York is complete without a visit to 230 Fifth. They may have the best rooftop happy hour in NYC. Another Midtown Gem. This happy hour is a bit on the earlier side from 4pm-6pm however if you are a lucky enough to sneak out of work early this is a great spot. Take your pick from Beer ($6), Wine ($8), or Margaritas ($10). 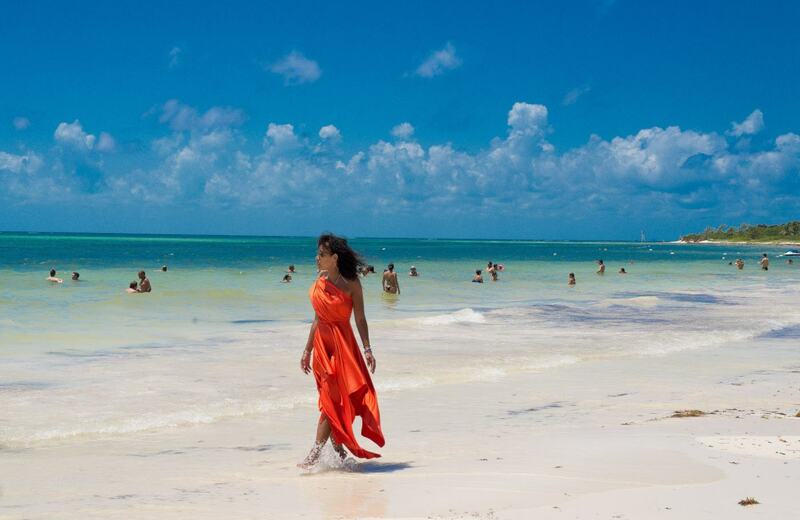 What is great about this place is that you can visit year round. When the temperature starts to dip the rooftop is glass enclosed and heated. Great way to spend a winter evening if you ask me. Another tip is to check out whether you can find deals for Haven Rooftop on Groupon. You never know what you may come across. Located in Midtown, overlooking the Hudson, this is the place to be for sunset. 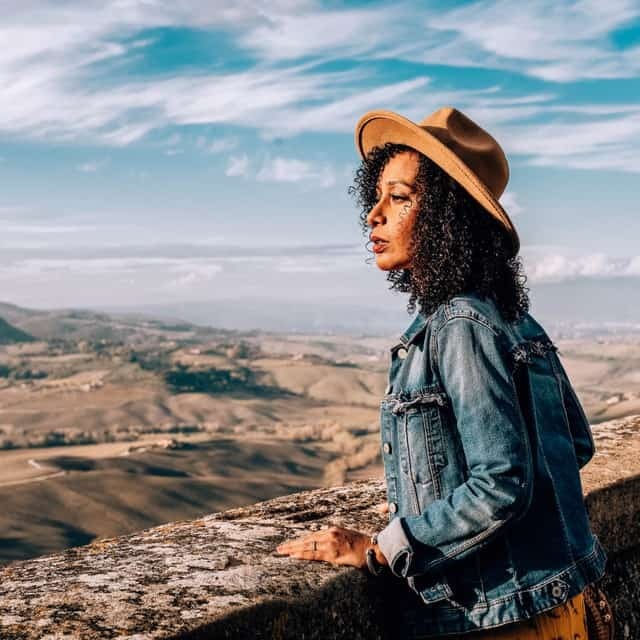 The best part of this place is not the views but more the deals. They always to seem to have a theme party going. I constantly see deals for open bar parties. They even host free happy hours which I love. Their deals are always changing so it is best to call or check out their site ahead of time. For example their most recent offer features 2 for 1 drinks. I am down for that. Also located in midtown this is another great spot for happy hour drinks. Drinks are $7 and food is available starting at $5. Not bad for midtown. Happy Hour is available Monday-Friday from 5pm-7pm so it is great afterwork. If you are like me (I like to to be in bed by 9pm) this is perfect. Rooftop, drinks, food. That equals heaven to me. Bonus: I have seen deals for this place on Groupon so keep an eye out. Another rooftop located in Midtown however they have a nice selection of options for Happy Hour. Stop in on Monday-Thursday from 5pm-7pm when you can enjoy beers for $6 and wine, sangria, margaritas, and well drinks for $8. This is another gem as they have a retractable roof which means its cool when it is too hot out and warm when its bitter cold out. They do get busy but a great place to grab a few after work drinks. 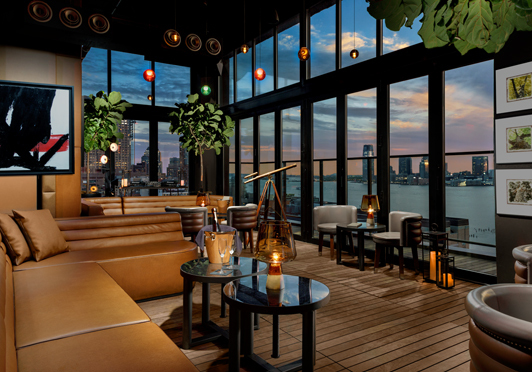 If the Meatpacking is on your New York City to do list skip the Gansevoort and the Standard and head over to STK Rooftop. They call it the Social Hour and if you ever wanted to hang out in the Meatpacking minus the meatpacking prices then check this place out. Monday through Friday from 4-6:30pm you can score half price drinks (normally around $17) and oysters ($2) or other bites (starting at $5). This might be the most expensive happy hour on the list however considering the neighborhood this is a deal. If you are looking to splurge I say give it a try. Making our way back down to the Lower East Side, The Delancey is a fun night. This place gets so busy but every time I have been here the music is great. It is three levels including a rooftop. Happy Hour is Sun-Wed 5pm-8pm & Thu 5pm-7pm and all drinks are $2 off. If you have that friend that can never find “their drink” on the Happy Hour menu then this might be the place to be. Grab a few drinks during Happy Hour and stay to dance the night away. 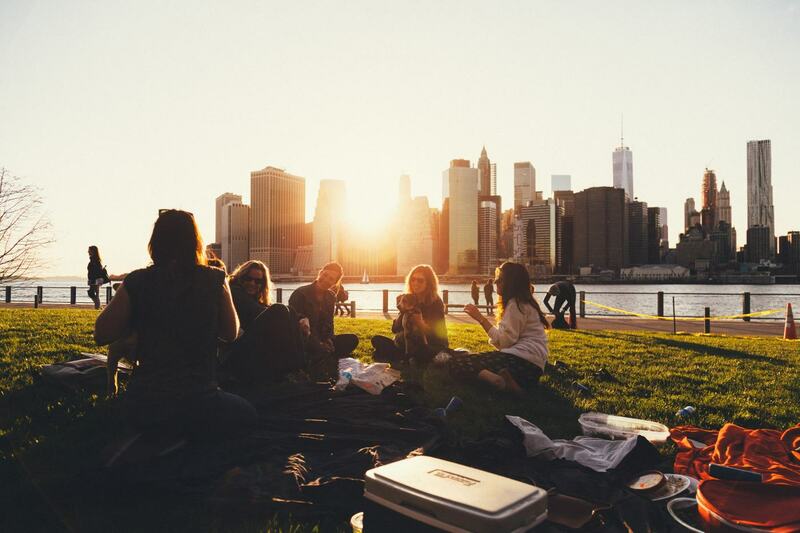 Make you way over the bridge to Williamsburg, Brooklyn for a Sunset Happy Hour that is worth the trip. Monday-Sunday from 4pm-8pm enjoy sunset happy hours deals with amazing views of the city. You cannot go wrong. Good vibes, good views, good company and happy hour deals. You have my vote. No more spending $20 bucks on one drink to just hang out on a rooftop in New York City. That’s for amateurs. Do you know how much I can get for $20. I mean for a few bucks more I can actually book a flight somewhere. But I digress. Check out these spots and let me know what you think. And if you find any other good spots let me know. I love sharing the wealth because we can all benefit from saving a few bucks. Hope you enjoyed our roundup of NYC Happy Hour on Rooftops. 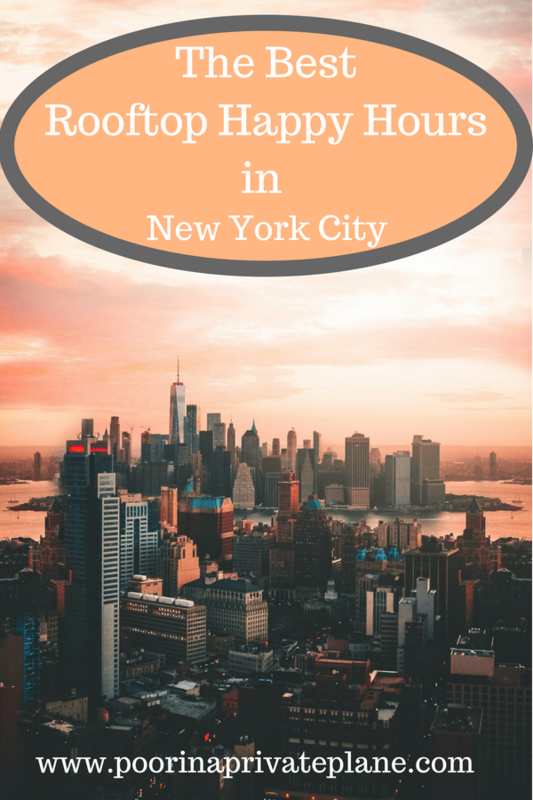 It will leave you with one less thing to check off of your New York City Bucket List. See you in the City!! That made me miss New York. It’s time for another visit.